A two nights’ deluxe room stay with breakfast for you and a guest and champagne on arrival. 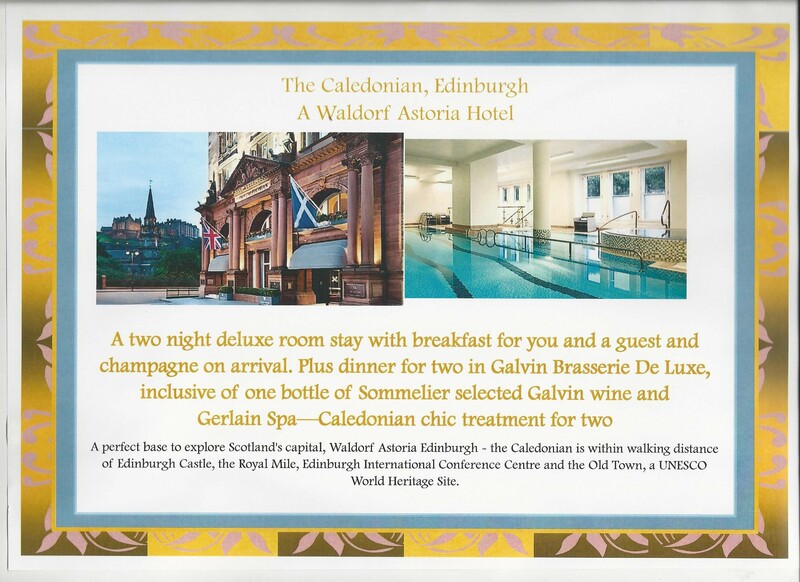 Plus dinner for two in Galvin Brasserie De Luxe, inclusive of one bottle of Sommelier selected Galvin wine and Guerlain Spa – Caledonian chic treatment for two. Situated at the west end of Princes Street, this former Victorian railway hotel nestles in the shadow of the historic Edinburgh Castle, just two minutes’ walk from the designer stores and fashionable bars of George Street.